“We were pleasantly surprised when we tested the new low cost CS469 versus comparable readers from Impinj and Sirit. We found the reader has very comparable read distance and read rates!" Stated David Bray, managing director, RFTech LTD.
“The fully documented APIs made the CS469 extremely easy to work with and dramatically reduced our setup time, “ reports Roc Lastinger, managing partner, Helvetia Wireless. “CS469 is a perfect match with our retail business and smart shelf solution.” Tafe Tsa, vice president, Alpha Solution Limited. 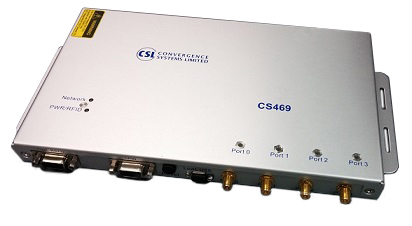 Convergence Systems Limited has introduced the new and improved CS469 RFID fixed reader platform -- the best total cost-performance solution in the industry -- offering outstanding performance at an affordable price. The high-performance CS469 is a 4-Port reader with ultra-fast antenna switching speed that delivers the lowest per-read-point deployment cost in the industry. With a compact form factor, support for Power over Ethernet, a long read range up to 12 meters and a high read rate of 300 tags per second, the powerful CS469 RFID reader delivers unparalleled performance and deployment flexibility. The longer read range and improved connectivity with high-resolution multiport operation dramatically reduces installation time and cost of deployment. Available for $895 MSRP, the advanced CS469 4-port RFID UHF fixed reader is ideal for document control, smart-shelf in jewelry retail, cold chain management and other applications where continuous monitoring is required. Visit TransTech Systems today to purchase the CS469 RFID fixed reader for cost-effective real-time tracking of assets. A significant element of any successful logistics operation is safety. When vehicles hit the road, the last thing you want is a break-down or a tire blowout. 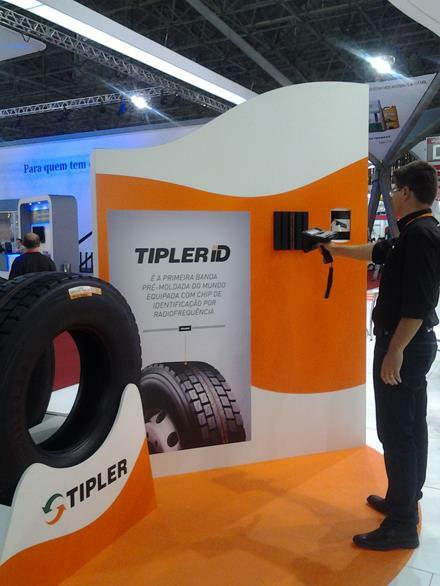 Fortunately, Americas Technologies Solutions Corp (ATS) has developed an EPC Class 1 Gen 2 RFID tire tag that enables quick and easy monitoring of tire condition. ATS has selected the CS101 RFID Reader from Convergence Systems Limited (CSL) to use in conjunction with the RFID tire tags. In fact, the CS101 Handheld Reader is the only RFID reader to date that has demonstrated the ability to reliably read the embedded RFID tags through steel belted tires.